We heard today from the Gospel according to St. Luke, being that this is the feast day of the Most Holy Theotokos – the Translation of her Holy Iveron Icon to Moscow. This Gospel is read quite often in the church on feast days of the Most Holy Theotokos. The Gospel reading concerns the sisters Martha and Mary; our Lord chastised Martha: "Martha, Martha, you are troubled and careful about many things, but one thing is needful." I am reminded of a second Gospel reading, which we read according to St. John on Lazarus Saturday; at the Raising of Lazarus, we hear Martha chastised again. When our Lord goes to the tomb of His friend Lazarus, He weeps bitterly, and He asks that the stone be moved. Martha objects: "By now, it has been three days, it’s past three days. He already stinks, he is already decaying." And our Lord chastises again: "Did I not tell you? Did I not say to you that if you believe, you would see the glory of God?" And our Lord utters the words to His friend, "Lazarus, come forth!" Martha believed that what they would find when they opened that tomb was a decaying body, and yet here comes her brother, as alive as ever. I am amazed when I think about how many saints and holy people have come into this new world of America, into the North American lands, whom the Lord has sent for us, for the edification of the Church. I’m reminded that day after day of the stench of death – not just physical death, but spiritual death, the worst stench of all. Spiritual death, from which there is no recovering: those who are afflicted by it do so of their own free will. And in this age of apostasy, where we see so many people who have left the True Faith for foreign confessions, false teachings – even these people, who were baptized and chrismated into the Orthodox Faith. We see many people who outwardly claim themselves to be Orthodox, and indeed – they were baptized into the Orthodox Church and chrismated, but they do not follow the Holy Tradition of the Church: they make up their own rules and they expect the Church to follow those. We see people all around us who are demon-possessed of their own free will, because they chose to follow the ways of Satan instead of following the ways of God. Satan comes dressed in very nice clothing; he does not reveal himself in all his horror to you; he comes very surreptitiously, very quietly. We see now a feast day for the West, and I used that term "feast day" with my tongue firmly clenched into my teeth, because it is not a feast day at all: the Devil’s Pascha, Halloween, coming in just a few days. And what happens when you tell people that this is not a good thing for children to do, that this is not a good thing for people to participate in? They wave their hands and they say, "Well, this is 2017, you know, and everybody does it! And besides, it is just a harmless holiday for children." They do not realize that what they are teaching their children is how to worship the devil. They think the exact opposite: they think that they are good parents, that they are good Christians. But they are not, because they turned a blind eye to the truth. They would rather follow the ways of the world, follow the easy way rather than the hard way. We have many people in our society today who fit that mold. There are many people besides them, though, who are searching for something beyond this world. They do not know what they are searching for, but they know they are searching for truth. And so as I mentioned, I am always amazed at how many saints have been present here in our American lands, and I have two in mind right now: one who is glorified a saint, and one who is yet to be glorified by the Church, but who is a saint in the heart of most of us here, if not all. 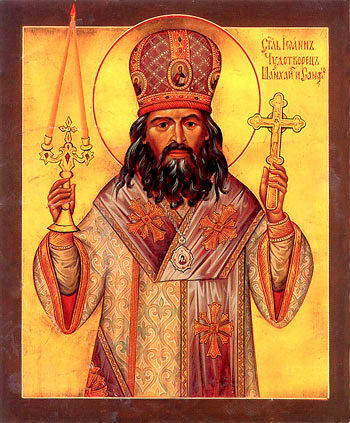 The one who is glorified as a saint is somebody who is very dear to my heart, the Holy Hierarch John, Wonderworker of Shanghai & San Francisco, who came into this land in the 1960s, in a time of a lot of social change. He was assigned to a diocese in which there were a lot of strange things taking place, much spiritual tumult. And yet, because he bore witness to the Truth, he was able to bring people to Christ by his mere humility and his loving chastisement. The second saint of whom I am speaking, of course, is the martyr Brother Jose Muñoz-Cortes, the 20th anniversary of whose martyrdom occurs in just a few days. And we are going to be here over the weekend, asking the Lord – as we did yesterday – to have mercy on his soul. But there will be a day when we will ask him in prayer, officially in the Church, that he should pray for our souls. Many already do this privately; but the day will come. Dear brothers and sisters, living in the world, here in America, here in this world of apostasy and all of the things that are contrary to Christianity, and being Orthodox Christians, we are called to adhere to the ways that the Apostles handed down to their successors. These they received from Christ. We adhere to these teachings in a world that is openly hostile toward Him, a world that teaches something contrary to His Word. If it teaches Christianity at all, it teaches a false Christianity. And yet, somehow, in the midst of all of this evil, there are so many to whom we can look as examples of holiness. We know that it is the tenth anniversary of the revelation of the myrrh-streaming Hawaiian icon of the Mother of God, which we see before us. Glory to God, she is here in our presence. So many healings, spiritual and physical, have taken place at the intercession of the Theotokos, because of this icon. And she streams myrrh abundantly; she is streaming at this moment. What a miracle that she would come to this land, what a miracle that a man who came from yet another part of the world – Brother Jose, coming from Chile, of Spanish heritage, and settling in Montreal, who burned in his desire to serve the Lord. He desired to serve the Lord in monasticism; and indeed, in his last days, he was secretly tonsured as Monk Ambrose. But his desire and his humility were noticed by God, Who never misses a beat; nothing escapes His sight. And Jose took a trip to Mount Athos, and brought back with him the Holy Iveron-Montreal Icon, which was not going to go with him at first, but it was clear by the end of his trip that the Mother of God wanted to come here, to North America. It has been said of both the Montreal and Hawaiian Icons that she does not go where she does not want to go: she wants to go to places that need her, she wants to be among people who honor her, but also people who need her help, who are transformed by her presence. Brother Jose labored for fifteen years! He was a diabetic: he had a lot of medical issues, probably more than we know, and in the constant agony that he was in, he served the Mother of God, bringing her to every church that asked. And there were some times when, because the Mother of God willed it, she would not be able to make it to a certain church, but rather go somewhere else. It is the same thing with the Hawaiian Icon: the Mother of God wills where she should go. Jose knew that he would meet a martyric end. We knew that, because it was in his writings, some of which are in a display case that we have at this conference. You will see a facsimile of the handwritten note that Jose wrote; it was twelve years prior to his martyric death, and he already knew. You can tell by his writing: he already knew that he would face death not at the hands of his enemy, but at the hands of his brother. And at the final line of that note, he repeats the words of Christ not to hold the sin to their charge. He had already forgiven his murderers twelve years before it happened. We wonder sometimes, I think, as Orthodox Christians living in the West that we are a kind of lonely bunch of people, misunderstood and small in numbers But when we have the temptation to think that way, we think that we will always be a small group here in America; remember that the Church was intended for everybody. Brother Jose bore witness to that: here is a man who did not come from a traditional Orthodox background; he was a Roman Catholic and, as an adolescent, was baptized into the Orthodox Faith. It was for this Faith that he became a martyr. Remember now the words of the Lord, "Did I not tell you that if you believe, you would see the glory of God?" We have seen it with the martyric death of Brother Jose, we have seen it with the myrrh-streaming icon of the Most Holy Theotokos of Montreal, we have seen it with the myrrh-streaming icon of the Most Holy Theotokos of Hawaii, we have seen time and time again that the Lord is showing us His glory through His faithful servants, through His Most Blessed Mother, and coming into this land and bearing witness to the Truth. Dear brothers and sisters, the next time somebody asks you about your faith in God, in a very humble and quiet way, bear witness to your Faith. You are bearers of the light by virtue of your baptism. Know that this Faith that we hold was purchased with the blood of the martyrs, and that one of those martyrs, who dwelt among us in our lifetime, was Brother Jose. When I, a few months ago, took a trip to Washington, DC, with my family, and Fr. Victor graciously showed us around St. John the Baptist Cathedral, he pointed out the spot where Brother Jose stood when he visited. He always stood in this one spot, and to be in that same spot was very humbling for me personally: here was a man who did not enjoy the attention. He wanted to be second. He knew that he was a servant of God, he knew that he was a servant of the Mother of God, and he knew where that would wind up. And when he was brutally murdered by the enemies of Christ, many people mourned, but we have reason to rejoice today, twenty years later, because we have a new defender in Heaven, we have one who stands boldly before the Throne of the Lord, we have one who one intercedes for us: a new martyr, because he was obedient to God, because he was obedient to the Most Holy Theotokos, because in spite of all his hardships and all the things he endured, he remained steadfastly obedient to the very end, even so much as submitting – voluntarily – to his own death. That is the epitome of being Christ-like. 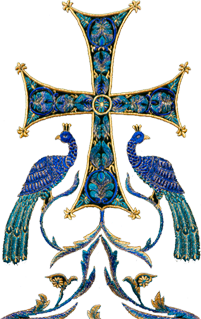 As Orthodox Christians, I ask you, would you give up your own life, would you give up your comfort for the sake of others? You may not be numbered among the martyrs who gave up their lives, but certainly God provides for the sake of your brothers and sisters. 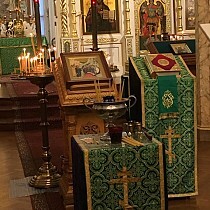 By bearing witness to this Holy Orthodox Faith, we have seen miracles in our lifetime, we have a wonderworking icon standing before us right now under candlelight, we have the body of a martyr just feet away from us in the cemetery. There are so many saints who have come and walked this American land, and they have come for a reason. The Lord is calling this nation to repentance, He is calling this nation to right worship, to move away from falsehoods, away from the evil, and toward good. Through the prayers of the Most Holy Theotokos, of St. John of Shanghai, of the Holy New Martyrs of Russia, and of all who have labored in this land, may that come to pass one day. There is much work to be done, and it cannot be done by priests alone. The laity must burden itself and go out and be living witnesses to the Gospel of Truth. Live your lives according to the Gospel teachings, and then, if God wills, things will change. We must believe when Christ tells, "Did I not tell you that if you believe, you would see the glory of God?" He has already shown us many, many times, through the life of Brother Jose, through the myrrh-streaming Montreal Icon, through the myrrh-streaming Hawaiian Icon: Dear brothers and sisters, be not afraid. Be faithful, for you will see the glory of God manifest itself in this nation of many faiths; may they accept the True Faith through the prayers of all the saints. Amen.